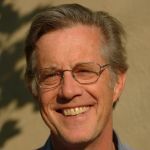 William deBuys talks about climate change and the future of the American Southwest. His book is A GREAT ARIDNESS. And filmmaker Dave Gardner talks about his movie GROWTHBUSTERS. It’s about our addiction to growth and why that is hurting our prosperity. The American southwest is one of the most beautiful places in this country. From the world wonder of the Grand Canyon to the cloud forests of New Mexico, the region is a jewel of natural, archeological and historical significance. Yet it’s under terrible threat from climate change — a threat already in evidence over the recent years of deep drought and raging wildfires. The fire season has already started in Arizona. After a brief respite last year, Lake Mead is dropping again toward historic lows after an unusually dry winter –bad news for Los Angeles, Las Vegas, and the countless other communities and farms that depend on its water. The Southwest as a whole has been in an 11 year drought. And scientists say it’s consistent with the changes brought by a warming climate — changes that could spell disaster for the southwest’s burgeoning population and wildlife. Writer William De Buys knows the region well. A long-time conservationist, he lives on a farm in the Sangre de Cristo Mountains between Santa Fe and Taos. His books have explored the unique personality of place in the Southwest — its history, environment and peoples. 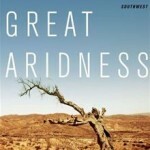 Now he’s turned his pen to what is and will be happening to his beloved region in his new book, A Great Aridness: Climate Change and the Future of the American Southwest. William De Buys writes about the Southwest from his home in New Mexico. His books include River of Traps, Salt Dreams and The Walk. His work has appeared in Orion, The New York Times Book Review, among others. His conservation efforts have led to the permanent protection of over 150,000 acres of wild lands in North Carolina and the Southwest. Growth is good — right? Well, what about if it’s a growth on your lung or in your brain? Not so good. Runaway biological growth kills — and endless economic growth will do the same thing. Americans consume the equivalent of 3 to 5 Earths per year — a rate that’s putting us on a collision course with disaster. Filmmaker Dave Gardner says growth is coming to an end — and we don’t need it, anyway. In fact, he says, our continued prosperity depends on achieving a steady state or no-growth economy. He sets out to prove his point — with a good deal of humor leavening the facts — in his film GrowthBusters: Hooked On Growth. 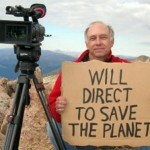 The movie interviews the experts, from Paul Ehrlich to Chris Martenson. It also chronicles Gardner’s run for the Colorado Springs city council on a platform of no-growth — a campaign he came close to winning, against all expectations.